Minneapolis, March 14, 2011– The first GNCC Side-by-Side race of the year saw reigning Side-by-Side champ, William Yokley, take the checkered flag in the “Open Modified” class with his new Polaris National Guard RANGER RZR XP 900. 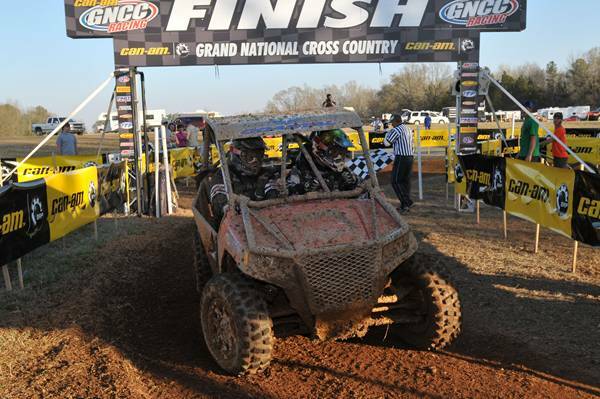 Polaris Racing’s Daryl Rath finished third also aboard a RANGER RZR XP 900. Yokley currently holds the points lead in both the GNCC and WORCS series with his RANGER RZR XP 900 and will be back in action this weekend, at the WORCS race, in Arizona. Rath will race his Sportsman XP 850, at the Steele Creek GNCC race, March 26. He currently sits in third place in the 4×4 Open Class. In other racing news, a RANGER RZR 4 800 piloted by Bill Morris of Bakersfield, California won the SCORE “San Felipe 250” and was the only car to finish out of the four starters. Morris had the lone RANGER RZR in the brutal race.